David Durham joined HBSA in 2009 after the move to Crosshouse and has been a regular ever since with his Thursday teatime show as well as extra appearances whenever he can find the time. Dave always finds time to present a show on Xmas day which is something that a lot of our presenters try to do. A massive ice hockey fan Dave can often be found following the Braehead Clan and in between broadcasting we hear that Dave enjoys his hobby of domestic appliance repair (that’s a private joke – please don’t call him to mend the washing machine!!). 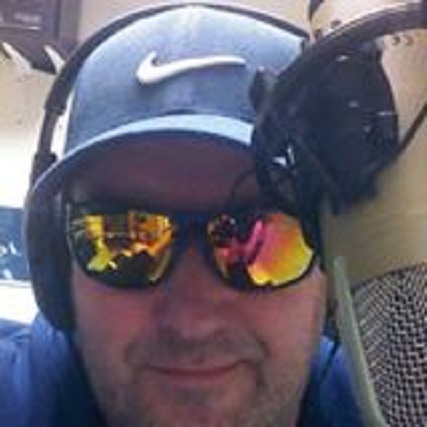 Dave’s Sports – Talk show is not only popular on air but also has quite a following on social media too as “followers” join in with his “Dirty Dozen” football predictions challenge in which he attempts to (and usually succeeds) in out foxing HBSA’s Jingleman.